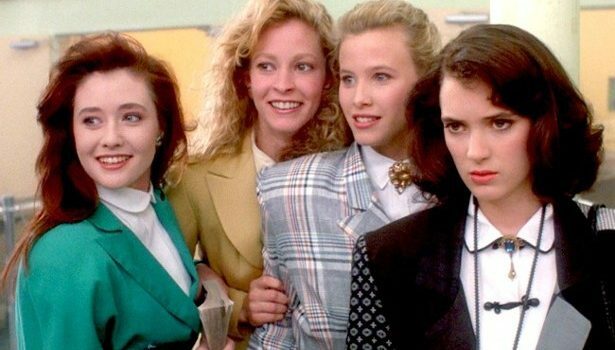 According to The Hollywood Reporter, the upcoming Heathers series adaptation and American Woman, a comedy based on the life of Real Housewife Kyle Richards, will shift from TV Land to Paramount Network in Viacom’s quest to build up the rebranded Spike TV. The rebrand will come into effect in January, with American Woman set to undergo pilot reshoots to better fit the Paramount brand. Heathers is an anthological take on the 1980s cult classic black comedy that starred Winona Ryder and Christian Slater as disaffected teenagers who plot to kill their peers. Morphing from a half-hour comedy to an hour-long dramedy in the middle of development, Heathers follows Veronica Sawyer (played by Ryder in the film and by Grace Victoria Cox in the series), a social outcast who comes into the orbit of a very different but equally vicious group of Heathers. Though she thought she was done dealing with cliques after high school, Veronica realizes that the social structure of high school will follow her wherever she goes. In addition to Cox, Heathers stars James Scully (Quantico), Brendan Scannell (Funny or Die), and newcomer Jasmine Matthews, with original cast member Shannon Doherty set to guest star as a mysterious new character. From John Riggi (30 Rock) and John Wells (Shameless), American Woman takes place in the 1970s and tells the story of Bonnie Nolan (Alicia Silverstone), a mother of two daughters forced to start a new phase of her life once she divorces her husband. Luckily, she has her two best friends to help her navigate this newfound independence and figure out just exactly what she wants out of life. In addition to Silverstone, American Woman stars Mena Suvari (American Beauty) and Jennifer Bartels (Barely Famous). With Heathers and American Woman no longer on its slate, TV Land is now left with Younger, Lopez, Teachers, Throwing Shade, and upcoming Nobodies. It’s as yet unclear whether more of their scripted series will be moving to other Viacom-affiliated networks, something that has already impacted Logo (which lost RuPaul’s Drag Race to VH1), but after passing on the First Wives Club series adaptation in November, TV Land’s development coffers are cleaned out. It has no more pilots to decide upon and hasn’t ordered any new scripts, so if Viacom decides that scripted resources need to move elsewhere, TV Land’s original scripted brand might have its days numbered.